After a long break, our Meet the Makers series continues with local author Hope Toler Dougherty (pronounced Dockerty). Hope is originally from the Brogden area – I immediately asked if she was related to Ava Gardner, but, alas, not that she knows of. After moving away for a time, she and her family found their way back to Johnston County in 2009. At the time her 4 kids were high school age and she had to face the reality that in just a few short year’s she would be an empty-nester. It was out of that struggle to figure out the next step of life that her novelist career began. I sat down with Hope to discuss her books, her inspiration, and what it means to be a Christian fiction author. If that don’t sound pure JoCo, I don’t know what does. One of the great things about sharing the Meet the Maker series is getting to meet the passionate, talented people that live in Johnston County. Maybe I, as a JoCo native myself, know better than most were that spirit and drive comes from, but it’s always a treat to sit down and talk with someone about their love for what they do, and to share it with you. After writing sporadically for magazines and newspapers as a freelancer she ended up shifting to novel writing quite by accident. In 2009 she was planning to write another freelance piece and instead into her mind came a scene of a woman at a table in a café arguing with a strange man. The vision wouldn’t leave her alone and so, she wrote it all down. That ended up being the beginning of her first book Irish Encounter. 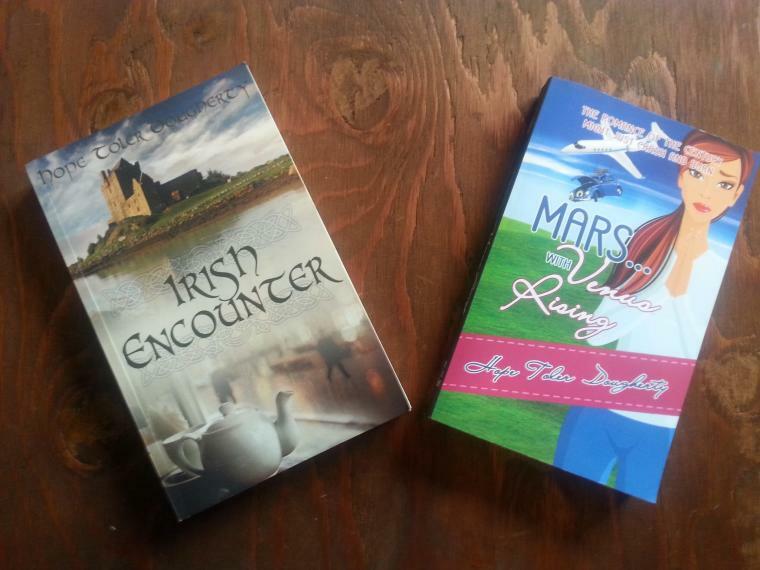 Both Irish Encounter and Mars with Venus Rising were published in 2015 by different publishers. 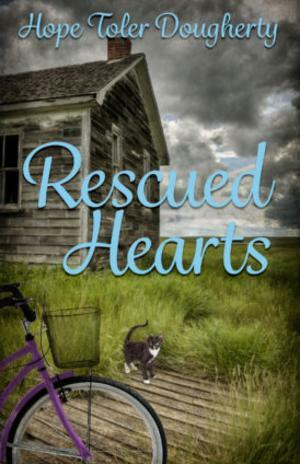 Rescued Hearts, the one I’ve started reading, was published in 2017. It’s got suspense and wonderful imagery and an undeniable chemistry between the two main characters. It’s fantastic and a great summer read by the pool or a book to take on vacation with you. But what does it mean to be Christian fiction? It is a niche market in high demand, but are there a certain set of expectations that come with that? Apparently, Christian fiction really just means a guarantee that you’re going to be reading a more wholesome book then you might find in the regular fiction section; it sometimes, but not always, includes overt religious themes. As Hope says, “My agent works mainly with Christian fiction and non-fiction authors, and a few authors do write both mainstream and Christian fiction. I don’t have dreams of crossing-over like that. But I think that people think that Christian fiction somehow all follows a specific storyline or genre. That’s not true at all. 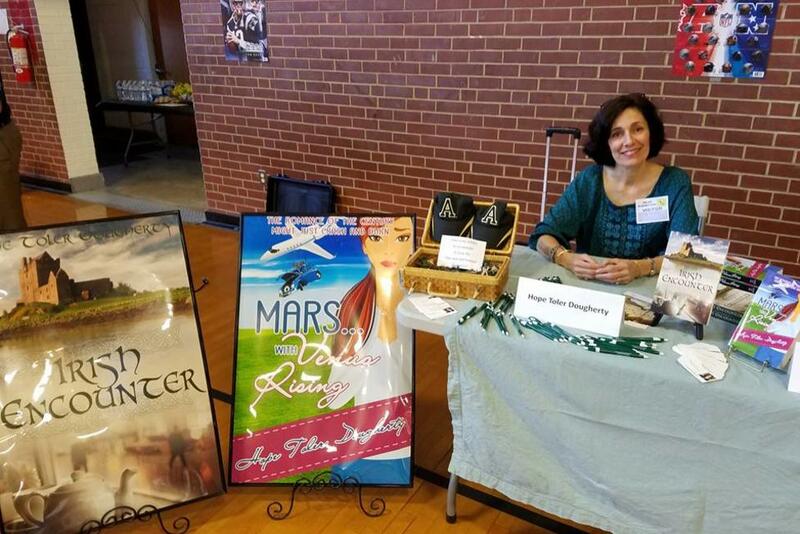 The writing conferences I go to are for Christian authors and all of the genres you would find in mainstream fiction you can find in Christian fiction – regency, fantasy, steampunk, westerns, and more. It’s not surprising that Hope’s books are full of quirky, southern relatives and unique places – her second book is set in Mars, Pennsylvania. A lot of her settings and characters are drawn from places and people she knows. Hope is currently working on her 4th book. You can find her work on Amazon or even pick-up a copy at Oak City Collection in Downtown Smithfield or the hospital gift shop on the Johnston Health Campus. To learn more about Hope visit her website or follow her on Facebook. I’d like to thank her for setting down with me to discuss her work and her passion. It was a pleasure!